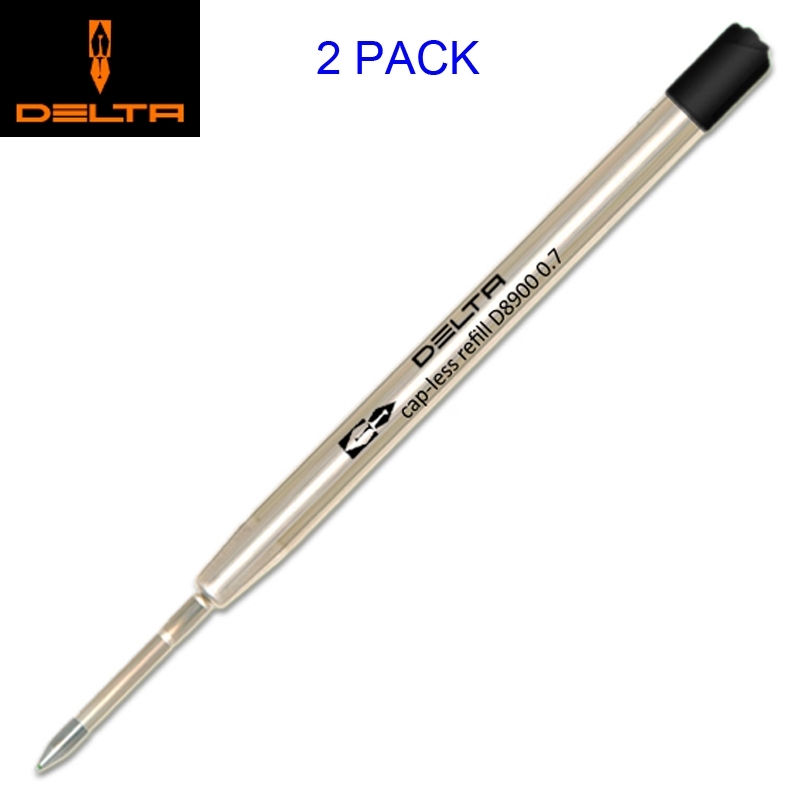 Delta 8900 refill is an innovative system for smooth and elegant writing. This Delta Capless System combines the individual writing characteristics of a Fountain Pen with the convenience of a ball pen. The ink dries quickly on the paper but it does not dry within the refill itself - for more than one year! 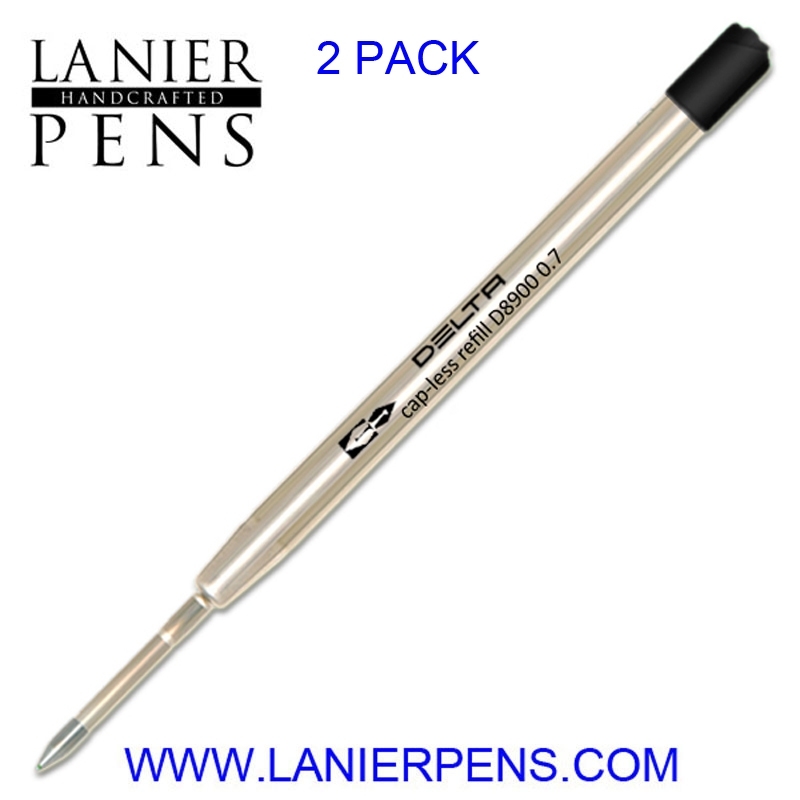 These refills are suitable for every rollerball and ballpoint pen that uses the international "Parker" standard. Ancora, Aurora, Bexley, Bossert & Erhard, Caran d’ Ache, Cartier, Colibri, Delta, Dunhll, Elysee, Jean-Pierre Lepine, Lamy, Lanier, Lodis, Monte-Verde, Marlin, Michel Perchin, Montblanc, Montegrappa, Northpointe/Libelle, Omas, Parker, Pelikan, Retro 51, Rotring, Stipula, Visonti, Waterford, Yafa, Yard-O-Lead, and many other including pens made in U.S.A., Taiwan, Korea and China. Fits all types of pens that use Parker ® style refills. Metal tube with tampon system, stainless steel tip with ruby ball 0.6 mm.